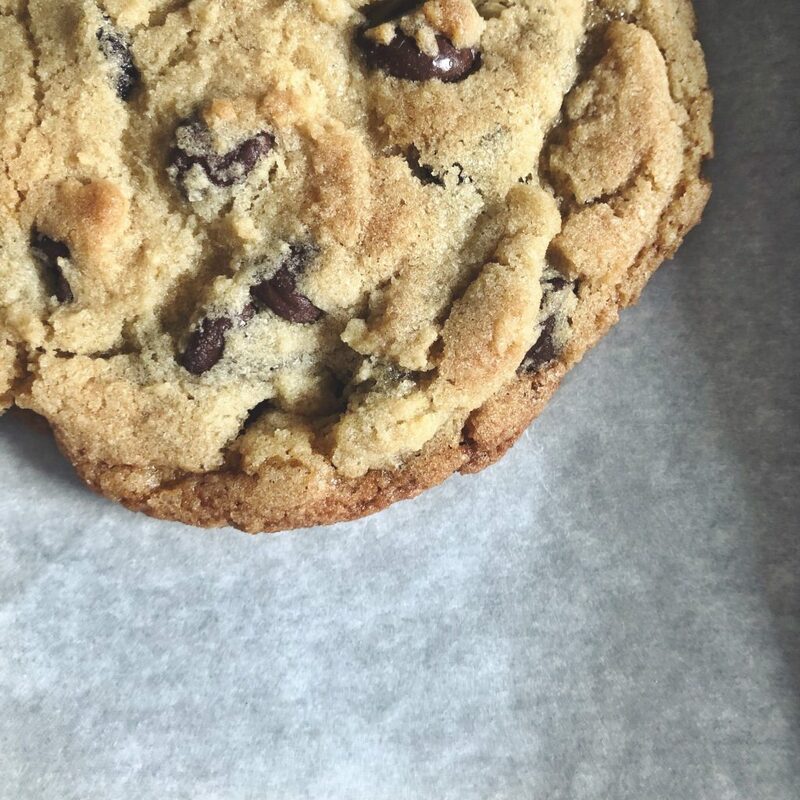 Your Christmas break needs this chocolate chip cookie. This is the cookie you eat while cozied on the couch watching Hallmark movies between naps. Trust me. Make these up ahead of Christmas (resist all the urges to eat all the dough–but do taste test, of course!) and pop them in the freezer to bake later, after all the other festivities have finished, and you have a quiet day to relax. It’s proper for these to be the last recipe of the “it’s a year of cookies!”–because these are the cookies for relaxing. There isn’t anything fancy or fussy about this recipe, but they are delightfully chocolatey and buttery. When you bake these up, I know you will enjoy every last little crumble! Preheat oven to 350. Cream butter and sugar for about 2 minutes. Add vanilla and eggs. In a separate bowl, combine dry ingredients. Gradually add dry ingredients to sugar mixture, taking care not to overmix. Stir in chocolate chips. Using an ice cream scoop or large cookie scoop, scoop dough onto a cookie sheet lined with parchment or a silpat, placing 3-4 inches apart. Bake 12-16 minutes or until center is set and edges are golden. Allow to cool on pan for 1-2 minutes, then transfer to wire rack. 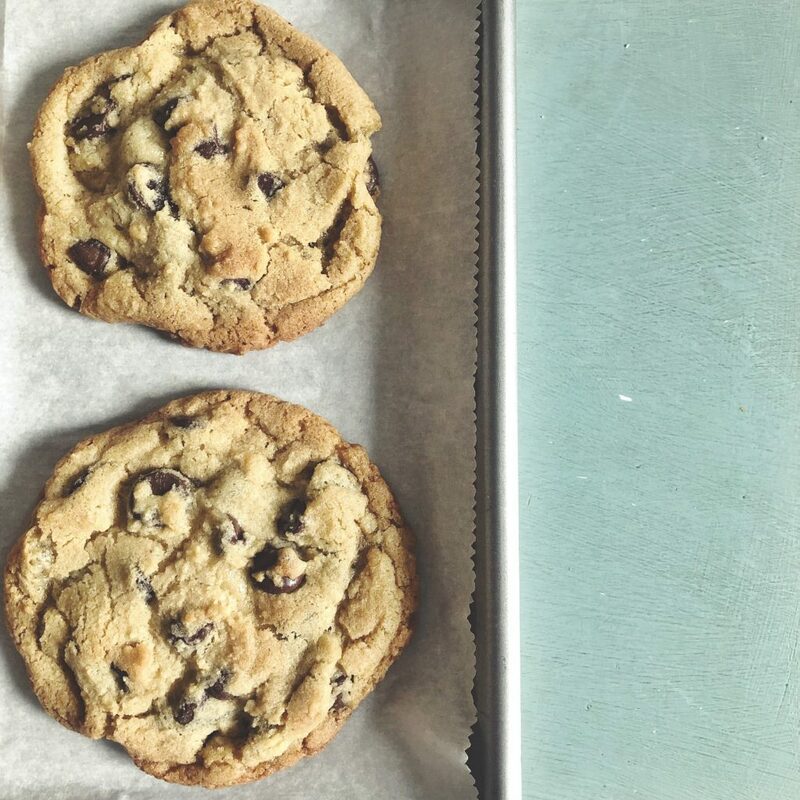 These also freeze well in dough form, so fresh from the oven cookies are only minutes away!Yields 18 large cookies. Enjoy!